Announced at Mobile World Congress earlier this year, the Aquaris X2 Pro is one of two Android One devices Spanish OEM BQ have brought to market in 2018. While you’d be forgiven for not recognising BQ as a manufacturer considering their primary market has been mainland Europe (though you’ll find them on Amazon UK at inflated prices if you’re looking), they’re an OEM to pay attention to. The device is, like most premium examples in 2018, a mixture of aluminium and glass, with the only exception being a thin plastic border around the 5.65″ 18:9 FHD+ screen which also branches into the less-than-subtle antenna lines. The device comes in three colours, Midnight Black, Deep Silver and Glazed White. The Glazed white to me, depending on the light, looks like it could have either a rose or gold tint on the aluminium, it’s quite nice. 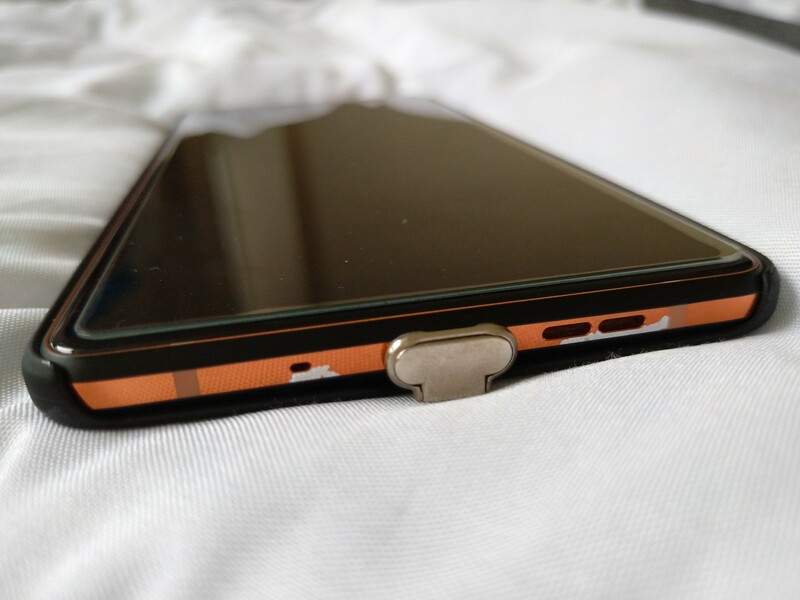 Unsurprisingly it’s also a bit of a fingerprint magnet because of this and a little slippery in the hand compared to devices with metal or plastic backs; sentiments again echoed often with this choice of material; in fairness though the white model BQ sent over does a pretty good job of hiding them. General build quality is fine; there are some very minor niggles here and there I noticed where it sandwiches together, but I had to pay quite close attention to even see this, so it’s unlikely to be a concern. All of the exciting ports sit at the bottom of the phone, including a USB C port capable of Qualcomm Quick Charge 4+ (though there’s only a QC3 charger in the box), a 3.5mm jack (thank you) and a loudspeaker. Volume and power buttons on the right of the phone are very clicky and feel suitably premium, with the SIM tray sat on the opposite side housing dual-SIM slots. The fingerprint sensor on the back is well placed (unlike recent Sony XZ models) and reasonably quick; it isn’t the fastest I’ve seen, but not far off. The loudspeaker on the bottom isn’t too bad, it goes loud enough to fill a smaller room without becoming tinny and combines with a loudspeaker in the speaker grille to form stereo sound. Still, it partially shoots out of the bottom of the phone, so there’s certainly room for improvement when compared to devices with stereo front-facers. BQ’s camera app is simple, clean and straightforward to use. The automatic settings do most of the hard work, but additional ad-hoc options such as brightness adjustments are a nice touch. It also includes manual, portrait and panorama modes, and will take video up to 4K once enabled in camera settings. 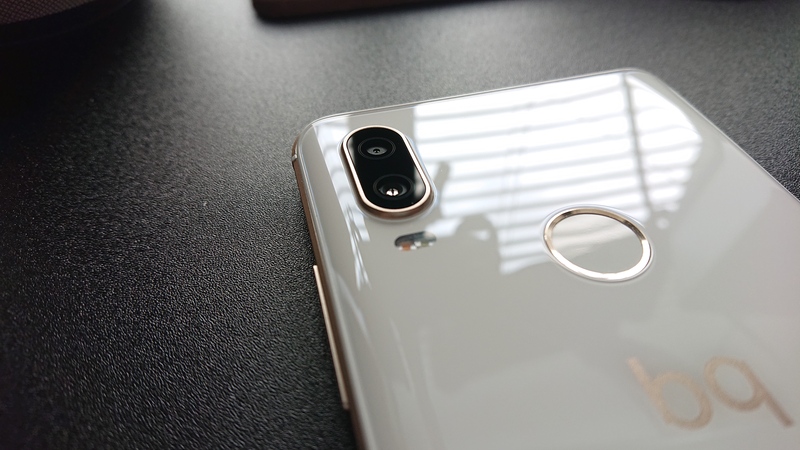 I prefer the BQ camera over the Nokia 7 Plus currently (pictured above, losing its copper accent with a wireless charging pad plugged in to add that missing functionality). On the subject of wireless charging, given its glass back I’d have liked to see that feature added also. Alas, that may have been too big of an ask for the price point. Out of the box the Aquaris runs 8.1 Oreo. 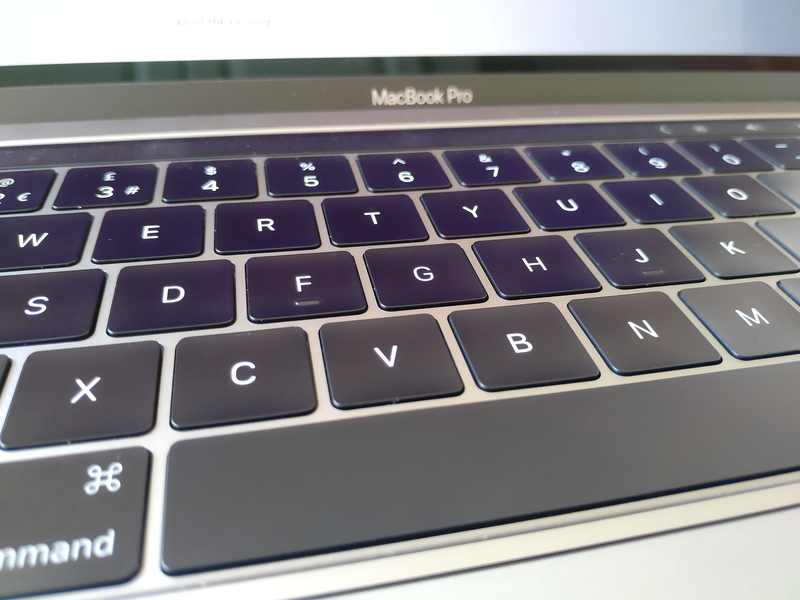 There are plans to upgrade to Pie however at time of writing I’ve not seen so much as a beta just yet. Since BQ have been leveraging Project Treble for some time however, it shouldn’t be too much longer. 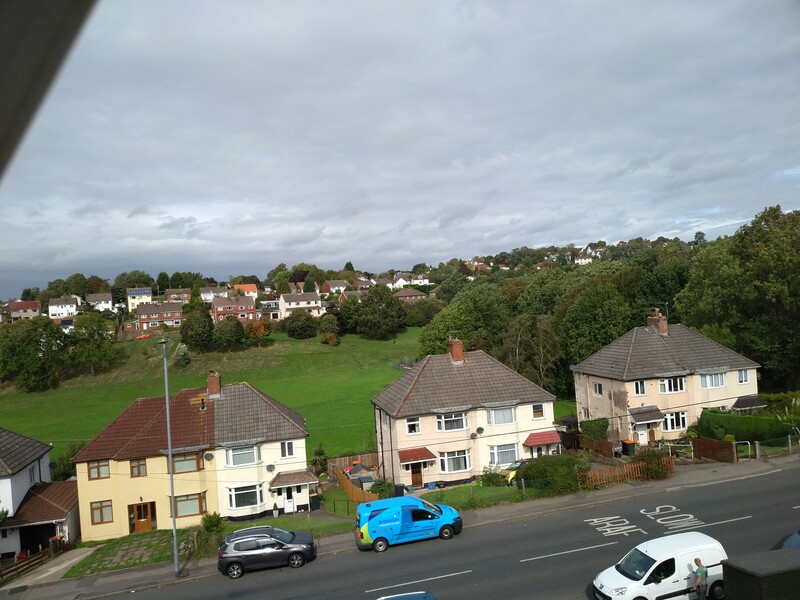 As this is an Android One device, the software experience is pure, stock Android with only a couple of approved BQ apps (the camera being one of them). Running vanilla Android means the clean UI and reliable UX made it really simple to switch from my Nokia 7 Plus to the BQ, and later from the BQ to the Xiaomi A2 without any grief whatsoever, it’s a delightful experience that could only be improved with a faster means of making that switch; the Pixel 2 supporting migration via USB for example is super convenient and saves a good deal of time vs cloud restore alone. 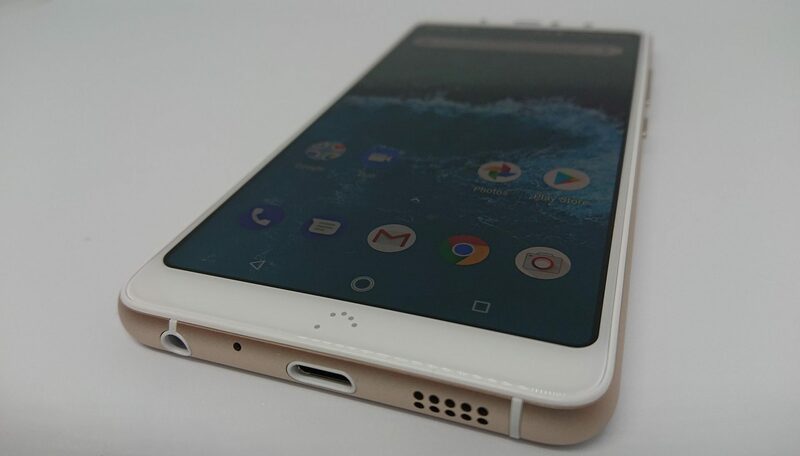 Android One has the capability to bring this as a standard for all participating devices and should do. Without any pre-installed bloatware or skins there was literally nothing for me to do following setup. Compared to the time I’d take on other OEMs disabling all of the rubbish forced upon me (AV, games, OEM apps, etc) and switching to a cleaner home app, it was very simple to set up and gives me the freedom to choose the apps I want on my device rather than those the OEM is given kick-backs to include. This is but one of many reasons to consider an Android One phone, in addition to quick updates, great performance (even on mid-market specs) and more. As this runs a Snapdragon 660 I’d like to make a point of stating there are no performance issues in daily use; it handles all of the applications I throw at it (many concurrently) and runs games pretty well too. Like the Nokia 7 Plus, the BlackBerry Key2, the MI A2 and other devices with the 600 series CPUs within, they perform well and shouldn’t be snubbed solely because they don’t use 800 series chips. As well as being an Android One device, BQ recently had the device validated against the Android Enterprise Recommended programme. Now whether you’re an enterprise decision-maker or a regular consumer, this is a very good thing; as an AER device it is validated to support both Oreo and one letter upgrade to Pie. BQ being Android One will probably support one further letter upgrade also but this is mostly speculation on my part. What you also get are 3 years minimum of security updates (those monthly patches that address vulnerabilities and issues on the device), guaranteed 8 hours of battery life (though the X2 boasts much better than that) and, should you ever as a consumer wish to take it into work as a BYO device, you can know it’ll have full Android Enterprise support. For enterprise, I’ve validated each deployment scenario personally against my validation criteria and can say it’s one of the best-supported handsets I’ve tested so far, not hitting a single snag during testing – including zero-touch support and COPE. Compared to the amount of issues I’ve found in other AER validated OEMs (irrespective of how quickly they’re resolved), it’s a breath of fresh air to have nothing to report back to BQ which suggests to me their QA is rigorous, and other OEMs could certainly take a leaf from that book. I am also pleased to see the inclusion of NFC, something which is often left out of devices around this price-point for some reason, and as such benefits from Google Pay as well as additional enterprise provisioning capabilities. 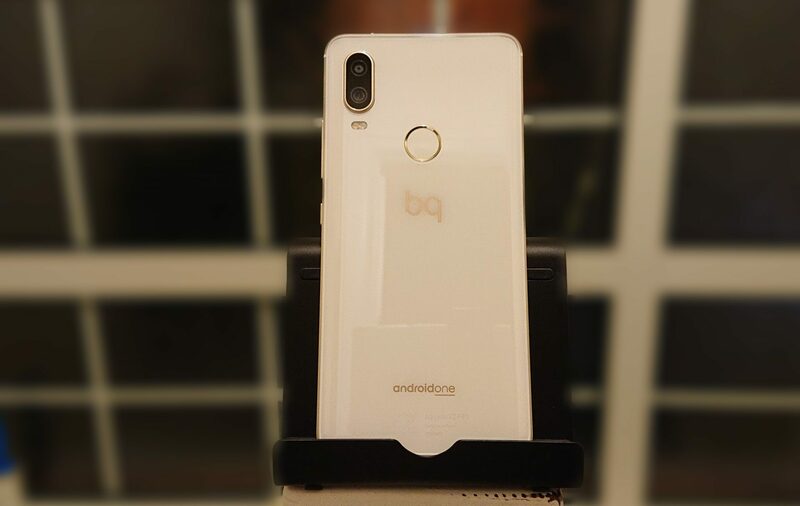 On that basis, irrespective of whether you’re a consumer bringing the X2 Pro into an organisation in a BYOD capacity by leveraging the work profile which empowers both privacy and a work-life balance, or an enterprise looking for a device to deploy to your organisation, the BQ would be a good choice. 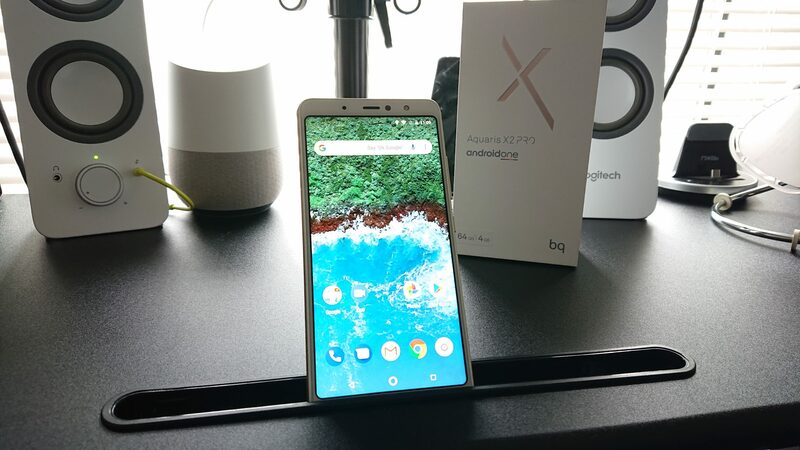 The Aquaris X2 Pro feels like a bit of an underdog over here in the UK, and I’d like to see it gain some real traction as it’s certainly warranted. With great build quality, premium materials, a wonderfully clean UX and all the bells and whistles (plus a headphone jack) you could want, the X2 Pro offers a great device for the €389.90/€459.90 it retails at. It is however in direct competition with the likes of the Nokia 7 Plus which offers a slightly larger screen and wider band support, but I think it likely comes more down to personal preference. Here’s a comparison of the two. Opting for Android One was a strong move also, there’s clearly a large demand for clean UIs and fast updates; the likes of which larger OEMs simply can’t always compete with. Long may this trend continue! The X2 can be purchased from BQ directly, or if you’re in the region, places like Amazon DE also. I like to keep my SIM pins in their boxes, using them and putting them back often as I switch devices frequently, however with the mix of weird slot configurations some OEMs adopt, or just taping them in, this stood out to me as a nice, elegant solution that keeps it in place. Nice to see BQ paying this level of attention to their presentation! 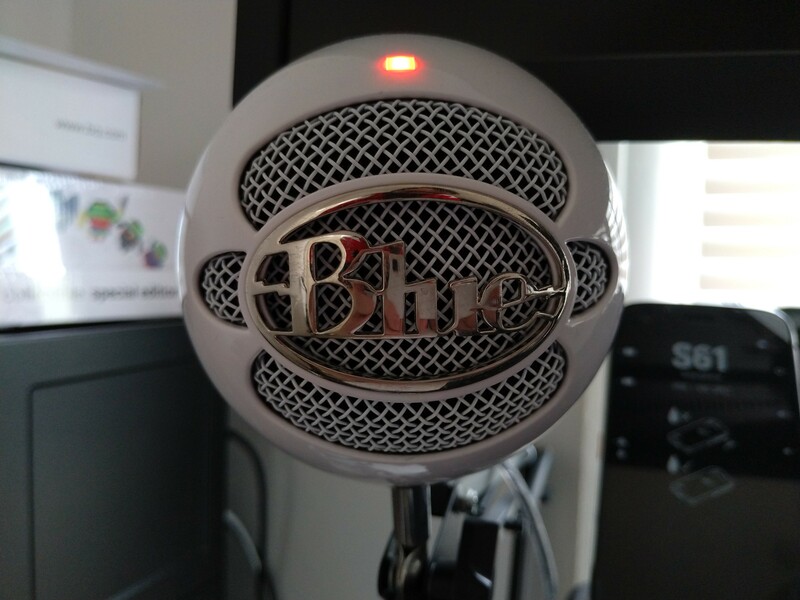 Are you a BQ device owner? Are you planning to be after reading this? Would you consider the X2 Pro as an enterprise device? Let me know on Twitter, LinkedIn or in the comments below!